Although we have found over 200 alcohol brands over the past several years, some are one offs: they make an appearance then disappear, never to be seen again (hopefully). However, Budweiser is a constant, with at least one or two found at every Community Clean Up, and the brown bottles are so recognizable that Jon can spot them even without their label. 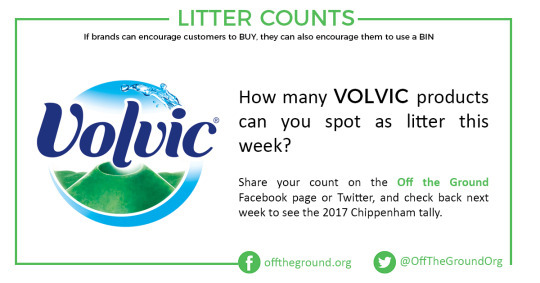 This week keep an eye out for any of the Volvic-branded water bottles. Their Touch of Fruit range tends to be common litter, but perhaps with the current drive to reduce single-use plastic we’ll begin to see fewer out and about?